A museum can be a quiet, dark, cold environment for the objects that are preserved. This can be the same for the people who work in this profession – but a Blog offers a noisy, bright, and warm environment for ideas including the flow of information. I look forward to the challenges and opportunities that this Blog will create for the research library and museum. First, thanks to my parents, (both teachers) at an early age I had the fortunate opportunity to travel the United States visiting and learning about our history, the people who live in each state and the rich culture which our country has to offer. I find it even more fortunate to be working in an industry which my family has been involved in since the era of silent movies. I find this an enjoyable effort which is truly close to my heart. I look forward at having guest postings on this Blog from our board members, celebrity advisers, museum staff as well as the Hollywood Film Industry. 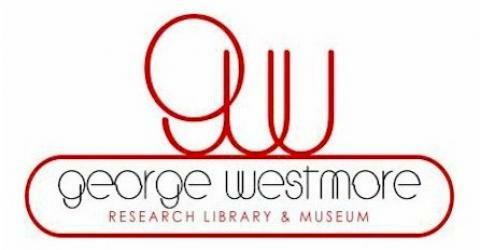 If you have information or connections, which the Research Library & Museum can benefit from, please contact me by way of this e-mail (info@WestmoreMuseum.com), through this Blog with your comments – we would love to learn about more. George H. Westmore career began in 1901 he opened a hair dressing salon, Newport, then worked in Canterbury, Kent, until after 1906, in Montreal, Toronto, and Quebec, Canada, and Pittsburgh, San Antonio, New Orleans, Buffalo, St. Louis, and Washington, D.C. In 1913 he added makeup to his repertory, Cleveland; began teaching Perc and Ern the art of wigmaking when they were nine; 1917 he was working at Maison Cesare, Los Angeles, first began at Selig-Polyscope Studio moving on to Triangle Film Corporation (a.k.a. Triangle Motion Picture Company), and other studios: responsible for Mary Pickford’s curls in the late 1910s. George’s greater contribution, though, may have been in fathering six sons, all of whom went into makeup design. George Westmore founded the first (tiny) makeup department at a motion picture studio at Selig-Polyscope Studios (1917), in Edendale, a suburb of Los Angeles next to Hollywood, developing techniques still in use today. William Selig, (1864-1948), U.S. motion picture pioneer, born in Chicago, Ill.; actor, theatrical manager 1888-99; improved early motion picture camera; produced first long historical motion picture Coming of Columbus’. 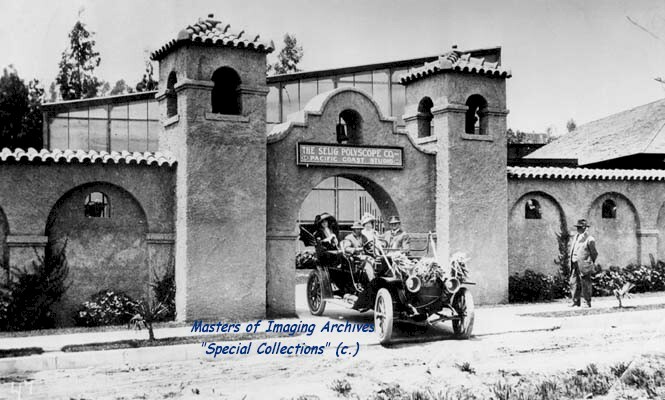 Selig- Polyscope Co. Selig set up his studio (1909), with director Francis Boggs, who began the facility in a rented bungalow and quickly expanded, designing the studio’s front entrance after Mission San Gabriel. An early production there was The Count of Monte Cristo. Edendale soon became Selig-Polyscope’s headquarters later selling the studio to Fox Studios and moving his Movie Studio and Zoo adjacent to what is now “Lincoln Park” area in East Los Angeles. Selig produced almost a thousand movies and was responsible for developing new film talent such as Roscoe Arbuckle along with early cowboy western stars Gilbert M. “Bronco Billy” Anderson and Tom Mix. George: married 1) Ada Savage, 1901; 19 children, including the six sons, a daughter Dorothy, and others who died young; 2) Anita Salazar, 1925; daughter: Patricia.